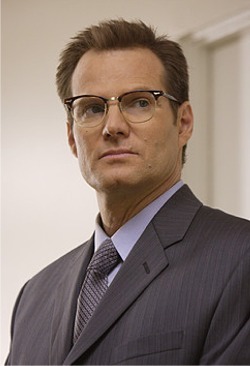 Re: The actor in "Pentiums"
Yeah that's Noah Bennet from Heroes. I remember when I first heard about this song, I completely misread the title and thought it said "It's All About the Pentinums," so I thought it was about this geeky family called the Pentinums. I finally got the, "what kinda chip you got in there, a Dorito?" line. TMBJon wrote: Yeah that's Noah Bennet from Heroes. I think so too; is there a way to look it up? It's Drew Carey. Jon was joking. Still don't believe us? Check the liner notes of the Ultimate Video Collection, or weirdal.com. First time I saw IAATP, I thought it was Tom Arnold. YouTube didn't have HD videos back then. Oh yeah. Totally the same guy.